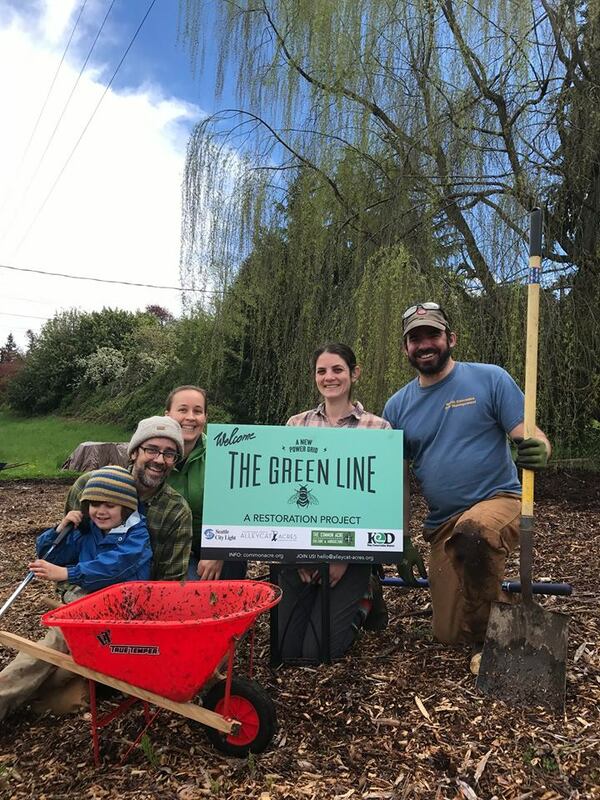 In partnership with The Common Acre and Seattle City Light, this is a restoration project on City Light right of way (under the transmission lines) in the Duwamish River Valley and Rainier Beach neighborhood. The project aims to restore wetland and native habitat along the ROW as well as increase native pollinator populations. The Common Acre has tracked pollinator activity here and found 60 bee species to date. 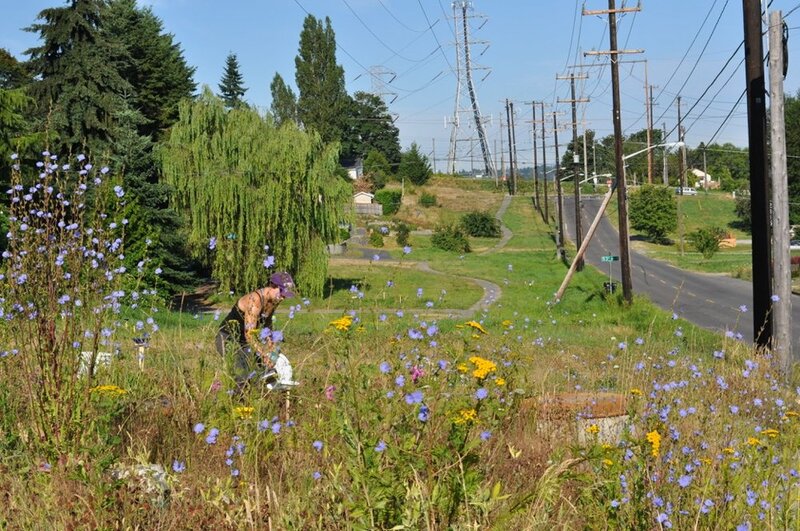 Alleycat Acres is designing a native food planting and ethnobotanical educational trail. Coyote Central challenges young adolescents of every race and socio-economic background to build skills, creative thinking, and self awareness through hands-on projects with professionals in creative fields. Their vision is for Seattle-area adolescents to be creative thinkers who are confident in their capabilities and voice and engages with their community. Alleycat Acres works to maintain the existing kitchen garden as part of our Central District farmstead network, and assist CC's educators in utilizing the garden for cooking programs.